When you have to fly, the airport experience alone can be a big enough headache without the added hassle of traffic, parking, and luggage transportation. Instead of driving, calling a cab or ordering an Uber, get to the airport safe in comfort and style. The best way to do that is with one of our professional Drivers and luxury black cars. 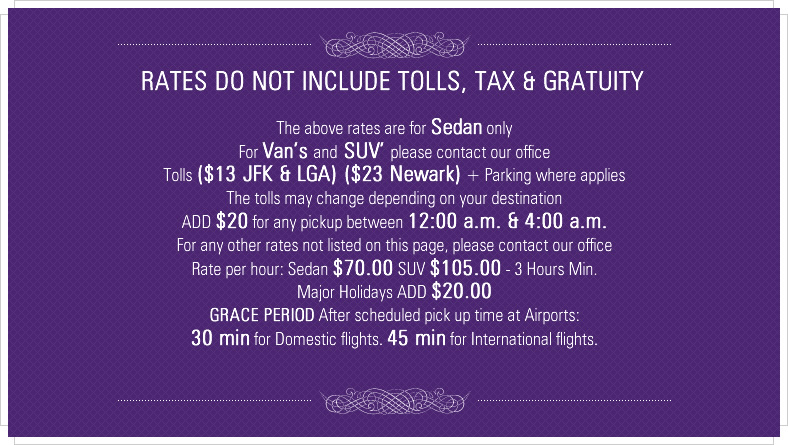 Our service is not only a great symbol of status as you arrive, but it is also surprisingly affordable. It is much more comfortable and safe than a local yellow cab or Uber, and we’re always here when you need us. Westchester Taxy and Limo is your destination for Airport service.